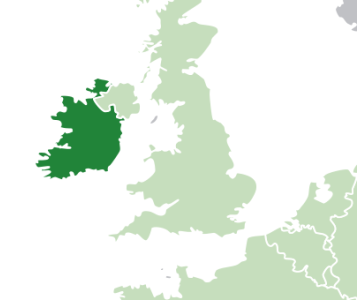 Éire (Republic of Ireland) occupies just over 80% of the island Ireland situated in the Atlantic to the West of Great Britain. 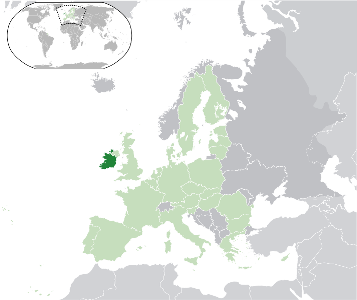 Éire is Irish and the official name of the Republic of Ireland. Éire was one of the founding members of the Eurozone issuing coins from 2002. Prior to the Euro the official currency was the Irish Pound. The conversion rate to the Euro was set at 0,787564 to 1 Euro on 1st January 1999. For more information on Éire,try this link. Return from Éire to Irish Euro Coins.